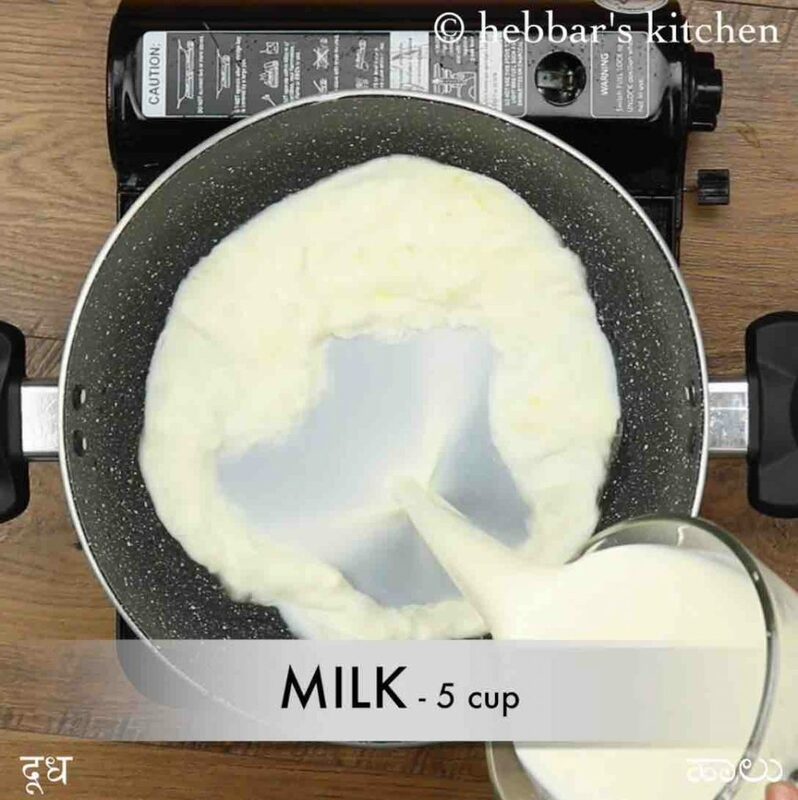 sheer khurma recipe | sheer korma | how to make sheer khurma with detailed photo and video recipe. a creamy and rich vermicelli based milk pudding prepared mainly muslims on eid ul-fitr or ramadaan month. the main ingredients for this classic dessert is vermicelli, dates, milk, sugar and other dry fruits. the dish is mainly served after the morning eid prayer as breakfast because of the rich and healthy nutrients it has to offer. 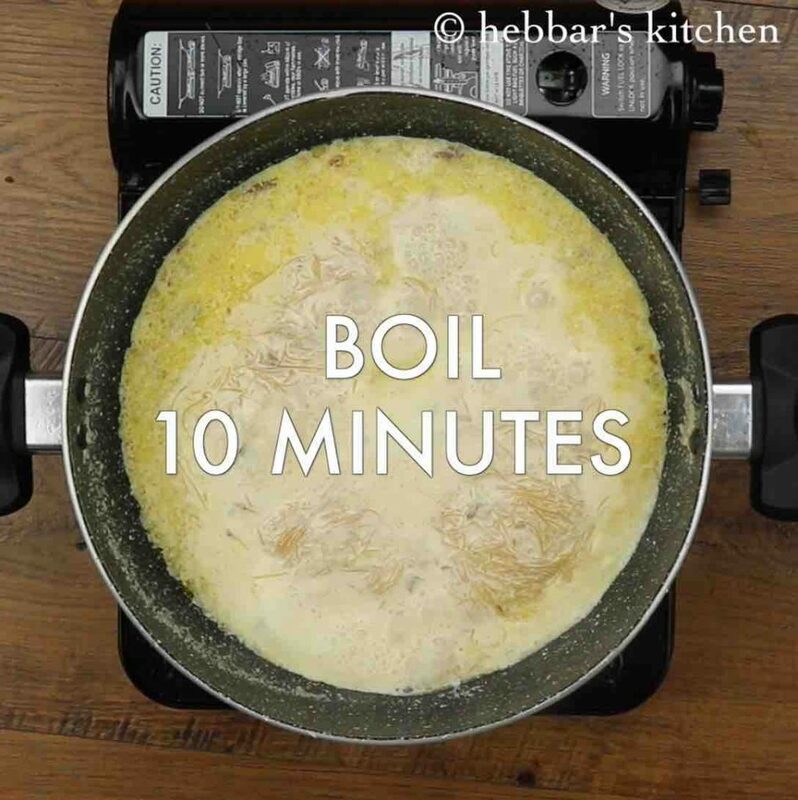 sheer khurma recipe | sheer korma | how to make sheer khurma with step by step photo and video recipe. indian desserts or sweets recipes are always synonyms to the indian festivals and celebrations. each region and community contributes several rich and creamy milk-based desserts with properly crafted ingredients. 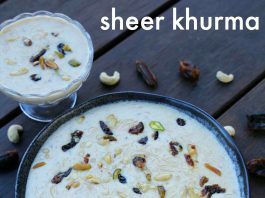 sheer khurma recipe is one such milk-based desserts filled with the goodness of dry fruits. 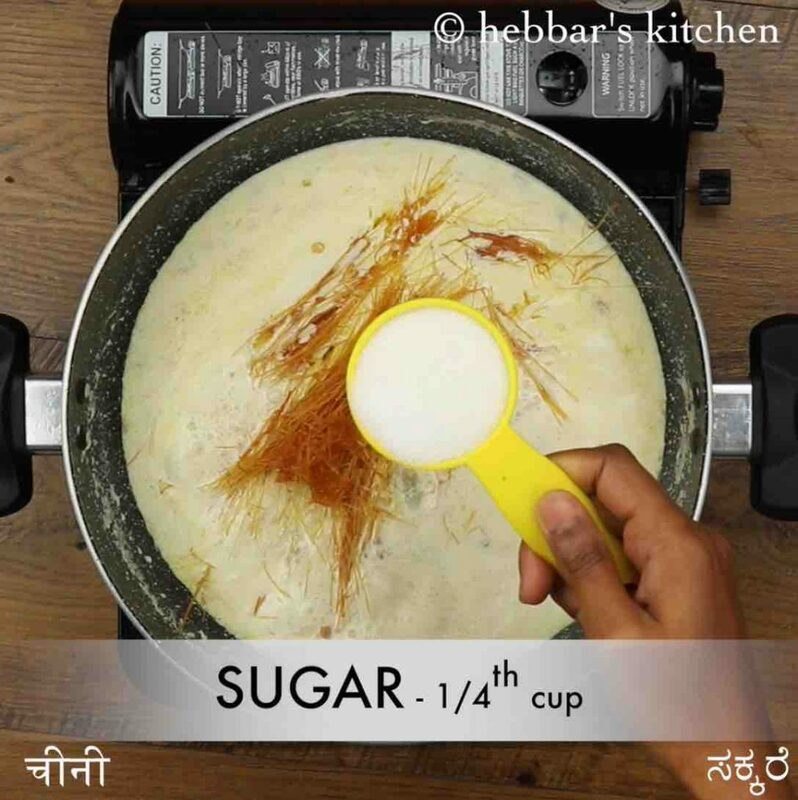 the recipe for sheer khurma is very simple and there are many striking similarities with the traditional semiya kheer recipe. 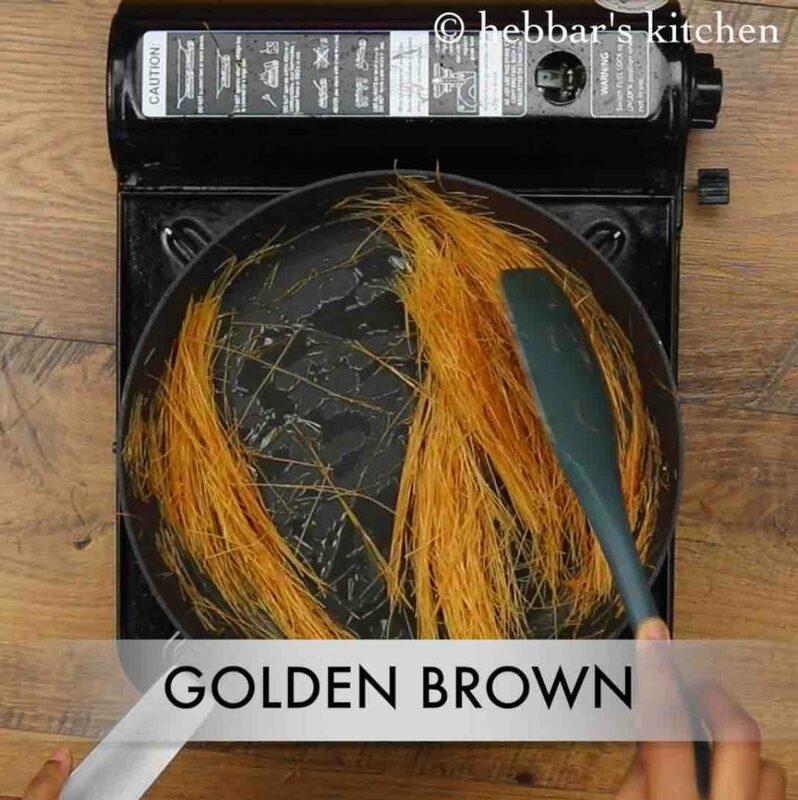 the recipe for sheer korma begins with the roasting of vermicelli with ghee before using it in the desert. note that the vermicelli used in this recipe is slightly different from the vermicelli kheer recipe and it is more on a thinner side. 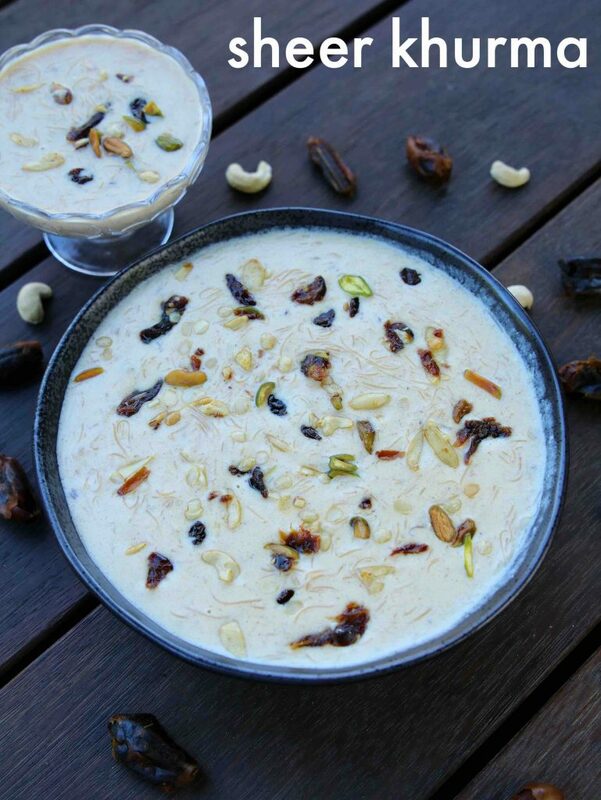 further the sheer khurma contains more dry fruits and is prepared more rich and creamy. the whole idea is to get all the necessary energy and nutrients after the entire fasting episode. also i have added the khewra water or rose essence which makes it more flavoured and fills it with aroma. furthermore, i would like to highlight my other tips and suggestions while preparing sheer khurma recipe. firstly, as i mentioned previously the vermicelli is slightly different as compared to sevai kheer. but if you do not have access to it, you can also use the normal vermicelli as well. 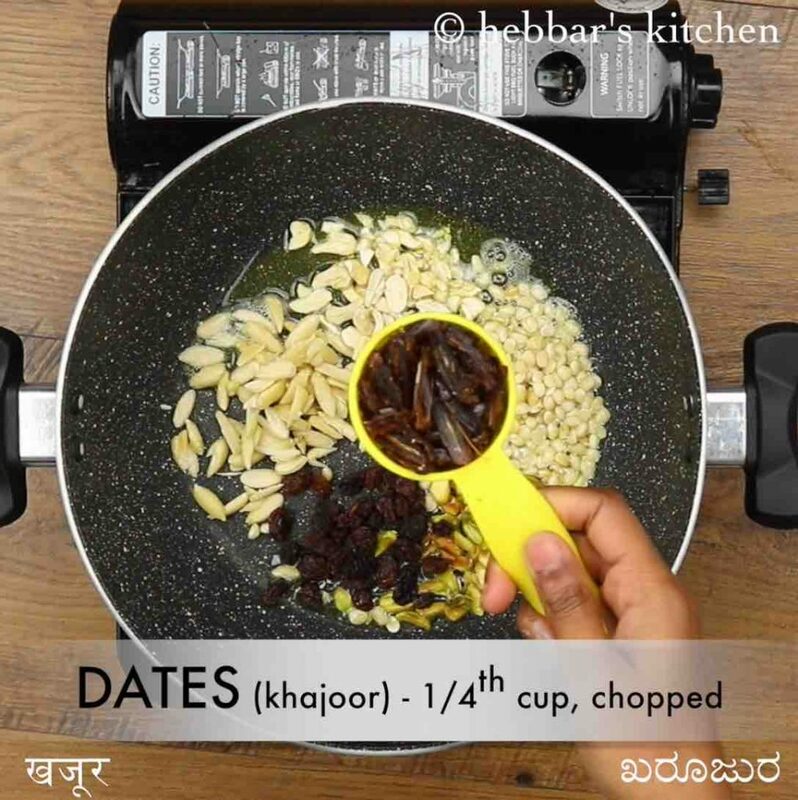 secondly, all the dry fruits added in this recipe are important and it is highly recommended to add it. however if you are running short with one or 2 than you can skip it while preparing. lastly, shor kurma can be either served hot and cold, but my personal preference would be to serve it as a cold dessert. also, during summer it may get stale quickly and hence refrigerate it after preparing it. 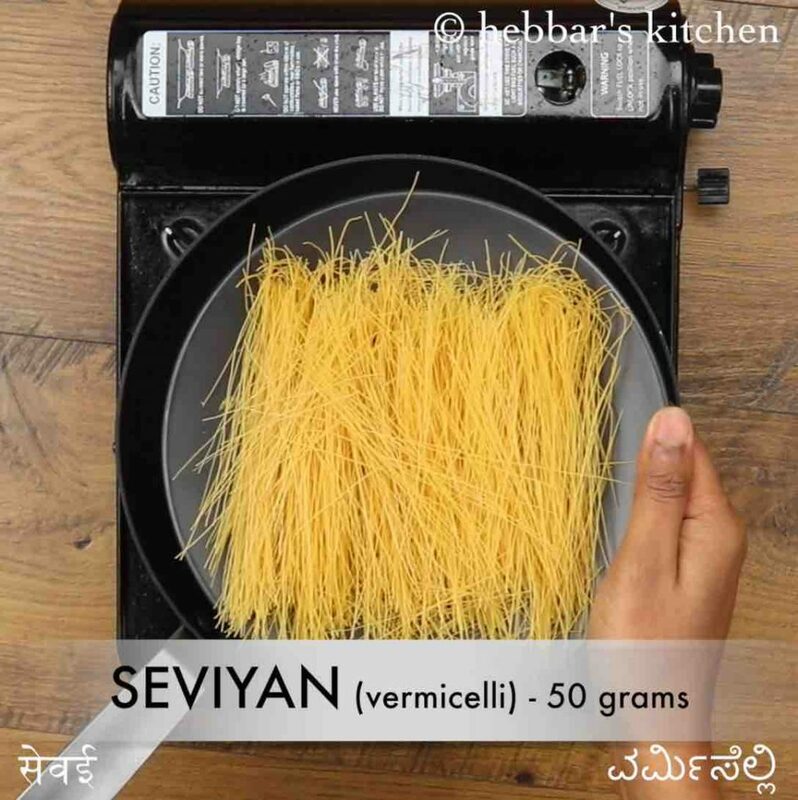 firstly, add a tbsp of ghee and roast 50 grams of fine seviyan / vermicelli. roast on low flame till they turn golden brown, aromatic and keep aside. 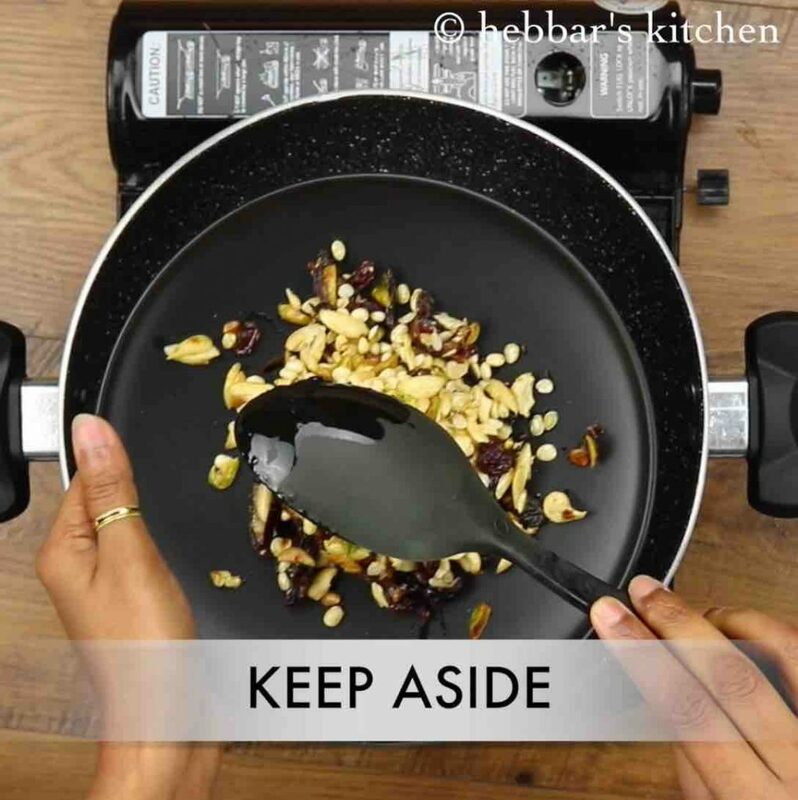 in another large kadai heat 1 tbsp ghee and roast 2 tbsp almonds, 2 tbsp cashew, 2 tbsp chironji, 2 tbsp pistachios, 2 tbsp raisins and ¼ cup dates. roast on low flame and keep aside. now add 5 cup milk and bring to a boil. 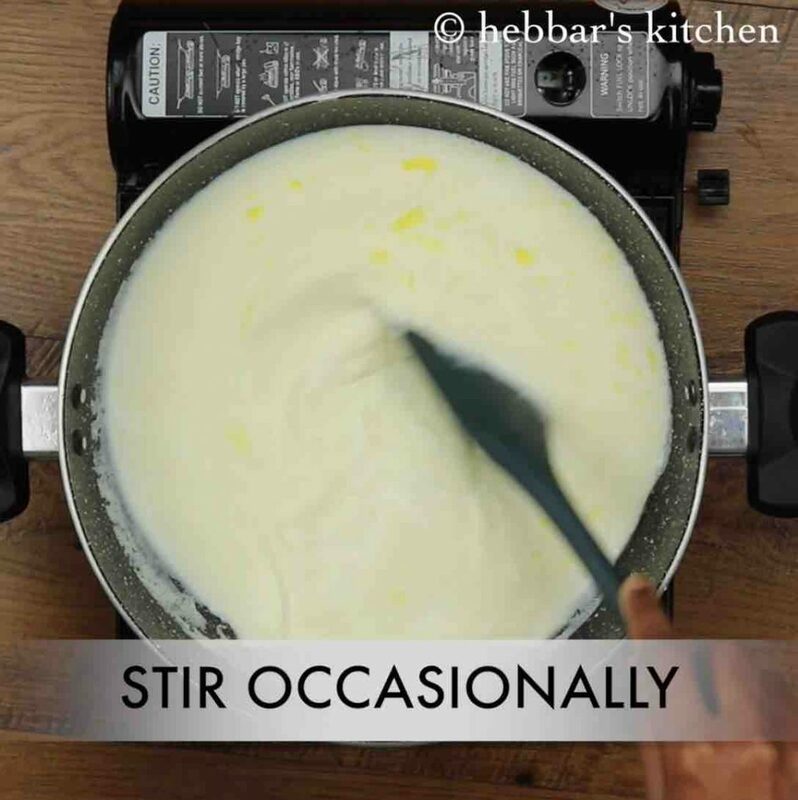 stir occasionally, to prevent milk from burning. 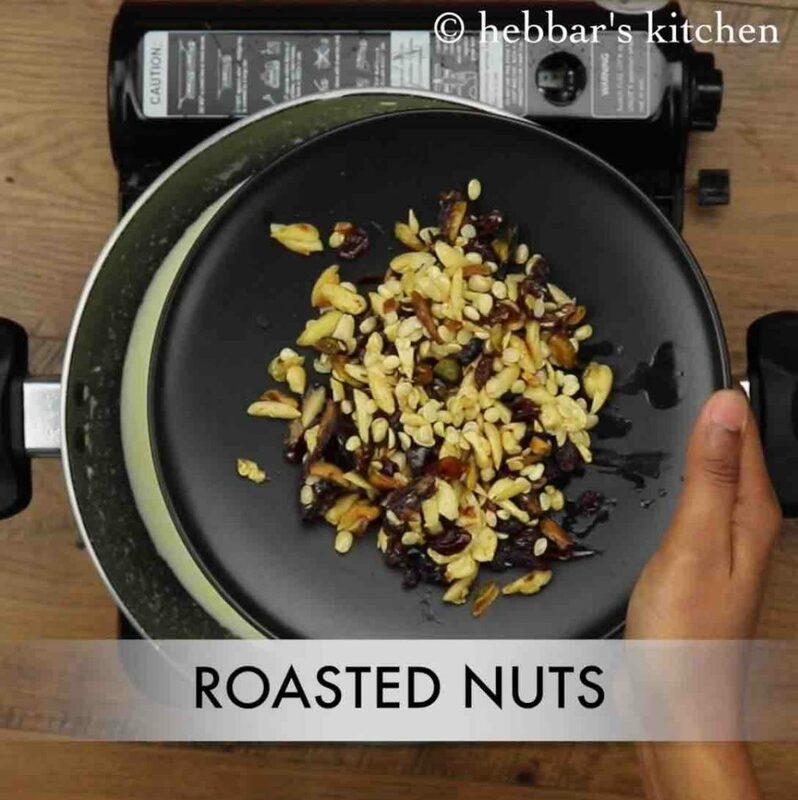 further add roasted nuts and mix well. 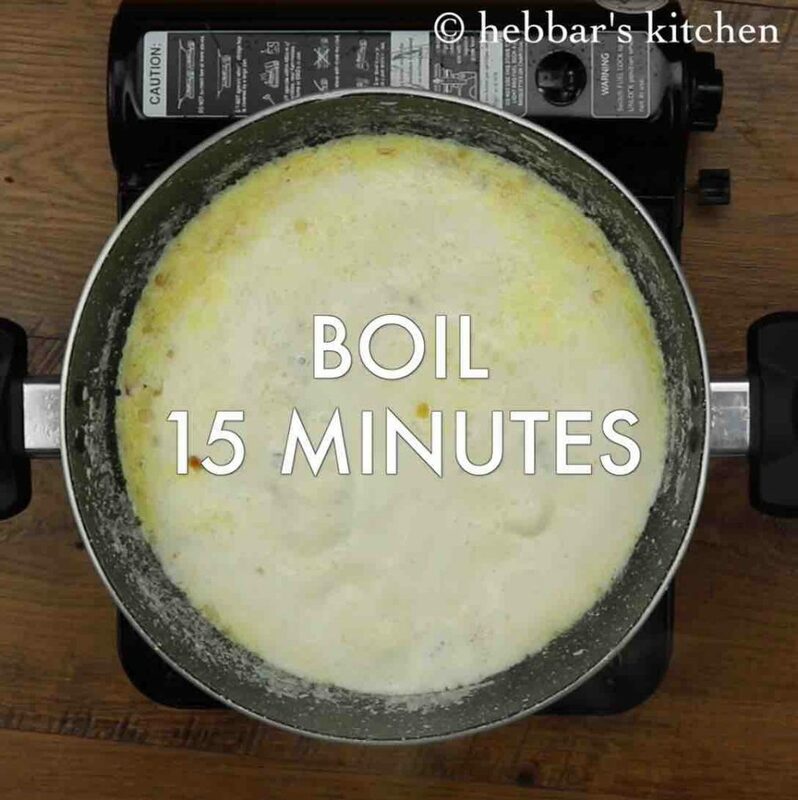 lower the flame and simmer for 15 minutes or till the milk slightly thickens. add the roasted seviyan, ¼ cup sugar and give a good stir. boil for 8-10 minutes or till semiya cooks completely. 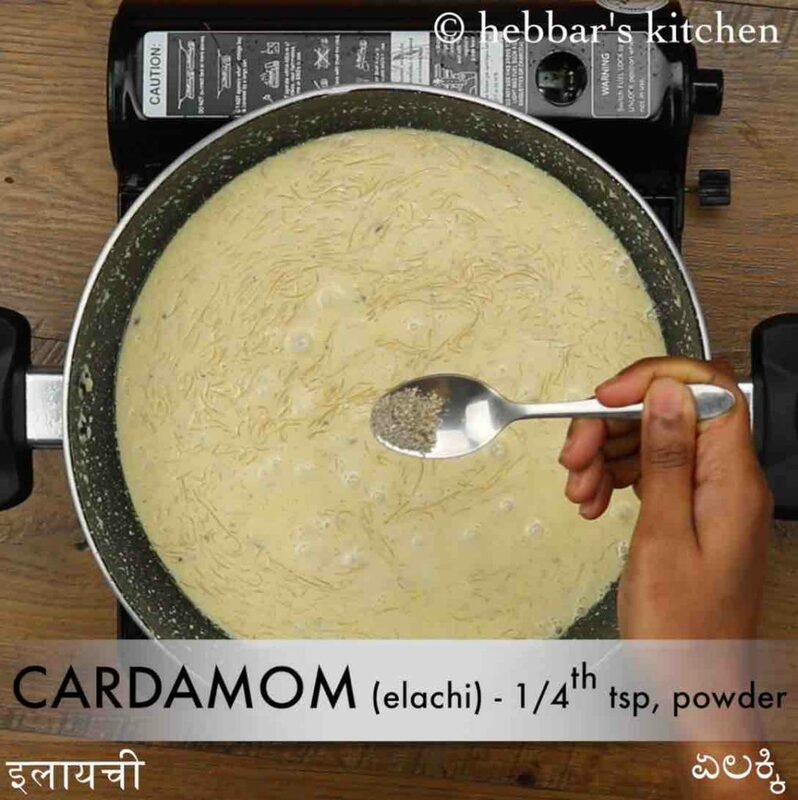 now add ¼ tsp cardamom powder and 1 tsp kewra water. alternatively use rose water. 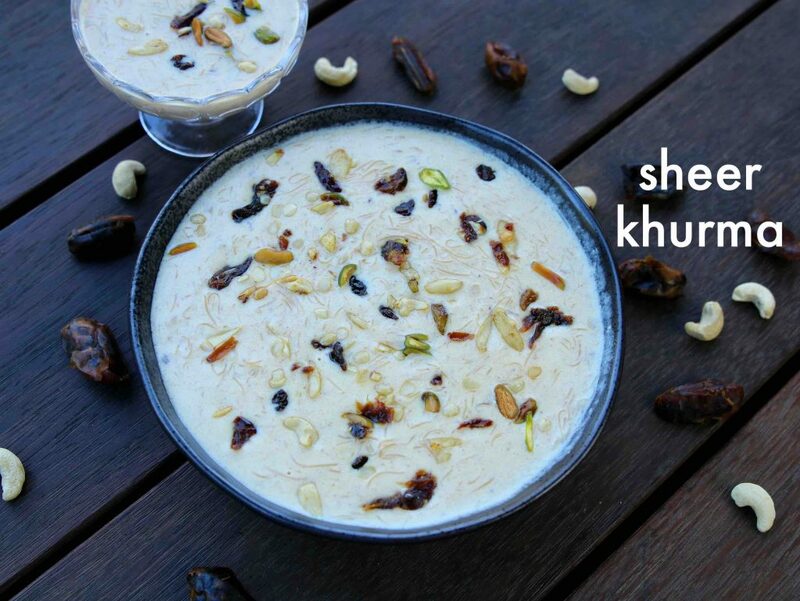 finally, serve sheer khurma hot or chilled topped with more dry fruits. firstly, dates and raisins add a lot of sweetness to the milk, so add sugar accordingly. also garnish sheer khurma with saffron strands or rose petals, dry fruits, powdered cardamom. furthermore, if you are using dry dates soak overnight to soften them. or boil in milk for 5 minutes. finally, sheer khuma tastes great when prepared creamy. adjust the consistency by cooking for more time.